A sensual Eau de Toilette with heady and magnetic oriental notes for a new fragrance gesture. 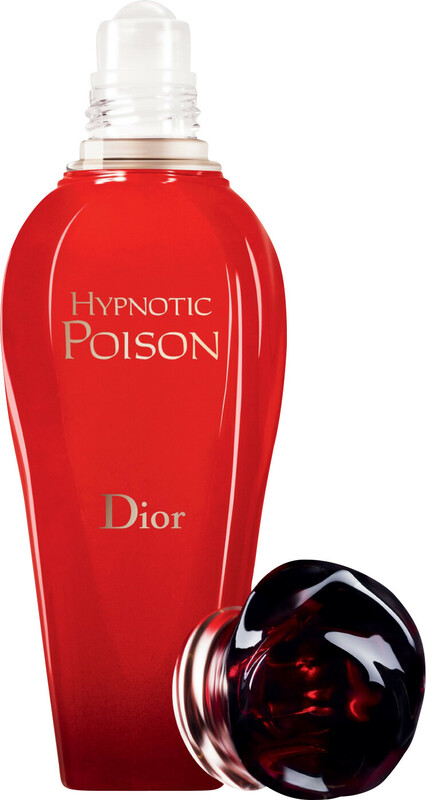 Hypnotic Poison isn't a fragrance you wear, it's a fragrance that wears you. With Hypnotic Poison, the House of Dior has created a magnetic and sensual fragrance, the stuff of modern perfumery legend. The heady, terribly sensual oriental fragrance is now housed in a new Roller-Pearl. The bright and vibrant glass bottle is topped with a delicate pearl for a free and easy new approach to fragrance application. For fragrance touch-ups, as a complement to your perfume or for perfuming on the go, Hypnotic Poison Roller-Pearl Eau de Toilette is as precious as a gem.